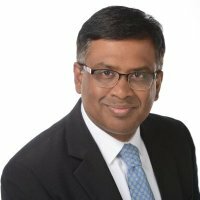 PHILADELPHIA, PA, April 11, 2017 —SPIN, Inc. (Special People in Northeast), a Philadelphia-based nonprofit providing autism/intellectual disability supports and inclusive early childhood education, welcomes Shuvankar Roy, Executive Director of Xfinity Home at Comcast Corporation, and six additional community and employee leaders to its corporate board. SPIN appointed Roy at its April board meeting and elected six other directors earlier this year: Dorian Smith, Vice President of Business Development at American Heritage Credit Union; Terri DelloBuono, Firm Administrator and Controller at Ledgewood PC; Patricia Valeno, Realtor with RE/MAX Access; Megan Russell, Assisting Director of Residential Services at SPIN; Lamont Bates, Medical Care Coordinator at SPIN; and SPIN-supported self-advocate, David Armbrister. Shuvankar Roy (Bucks County, PA) serves as the Executive Director of Xfinity Home, the next-generation home security, automation, and energy management solution from Comcast. He leads the business operations function for Xfinity Home specifically helping Xfinity home scale its operations and deliver best in class customer experience. Prior to joining Comcast in 2013, Roy spent seventeen years working in senior executive roles in India, Germany and Canada focusing on Business Strategy and Operations Management for businesses in Manufacturing, Cable & Telecommunications and Premium Technical Support. Dorian Smith (Berks County, PA) serves as the Vice President of Business Development for American Heritage Credit Union. Prior to his tenure at American Heritage, Smith served as the Director of Development for the NHS Human Services Foundation where he built relationships and established effective interaction among diverse communities. Terri DelloBuono (Philadelphia, PA) serves as Firm Administrator and Controller for Ledgewood PC, a Center City law firm specializing in business counsel. DelloBuno has supported SPIN’s mission for over 11 years, since her younger brother became enrolled in SPIN’s services. Patricia Valeno (Philadelphia, PA) serves as a realtor for RE/MAX Access with other over 20 years in the real estate industry, specializing in helping seniors during transitional phases in their lives. Valeno has supported SPIN’s mission for over 25 years, since her son became enrolled in SPIN’s services. Megan Russell (Philadelphia, PA) serves as Assisting Director in SPIN’s Residential Services division and began her career at SPIN in 2006 as a Direct Support Professional, supporting an adult with intellectual disability in a community living arrangement. As the niece of someone who received SPIN services, Russell has maintained a life-long connection to the organization. Lamont Bates (Philadelphia, PA) serves as a Medical Care Coordinator in SPIN’s Health Services department where he works alongside licensed nurses to ensure the health, safety and quality of care for adults with autism and intellectual disability. Bates began his career at SPIN in 2009 as a Direct Support Professional. Bates also serves as a LifeSharing provider, opening his private life and home to an adult with intellectual disability. David Armbrister (Philadelphia, PA) receives services at SPIN and is an advocate for others with autism and intellectual disability. Armbrister graduated from Lesley University in 2006 with a Certificate in Business. In 2008, Armbrister was elected Vice President of his local chapter of Speaking For Ourselves, a self-advocacy organization. Armbrister began working for GIANT supermarket in 2012, and is a member of SPIN’s inclusive choir and civic engagement group. SPIN, Inc. (also known as Special People in Northeast) is a 501(c)(3) nonprofit human services organization providing a Life of Possibilities to nearly 4,000 children and adults in Philadelphia and the Lehigh Valley. SPIN is a leading provider of autism and intellectual disability supports, and of high-quality early childhood education in inclusive settings. SPIN is an eight-time winner of the Philly.com Top Workplaces award and the inaugural winner of the Wawa Hero Award. Learn more at spininc.org and facebook.com/SPINinc .